Hive has hooked up with Amazon to enable its suite of smart home products to be controlled via the Amazon Echo speaker. Users of Hive's smart thermostat, and connected devices such as smart bulbs, door sensors can now bark commands at Alexa, instead of opening the Hive app on their smartphone. Users can use commands such as "Alexa turn on heating" and "Alexa turn off lights", which are standard skills, but also access specific Hive skills, too. These would include commands such as "Alexa tell Hive to set temperature to 23 degrees" or "turn on bedside lamp" – the difference being that the user must remember to ask Alexa to tell Hive to control specifics of the app. Using Alexa's natural language processing and machine learning, there's over 80 ways to get Echo to control your smart home, including "Alexa – crank the heating up". "Voice controls make total sense. The key thing is that it's effortless, and that's helped by the way that natural language processing has advanced over the years. This thing is really sensitive. You can shut the house down when you go to bed, that's really powerful," said Kass Hussain, director at Hive. "We went with Alexa first as it's a natural part of the smart home because it's frictionless. The voice extension is natural, it's an effortless experience. It's not just about short term gains – we're in this for the long term," he continued. But I was curious about why Alexa was further ahead in the queue than Apple Home, which would appear to benefit more consumers. The answer, according to Hussain, is that Amazon Echo is device agnostic and that Apple integration has raised hardware issues. "We have to go where the consumers go and we will have to adopt those ecosystems. Apple Home is a 2017 opportunity. It's got a longer burn than the others as you need the Apple chip in your hardware and hubs. So there has to be an incorporation into the hub, and we're looking at backward compatibility – we think we might have cracked that as well," Hussain explained. 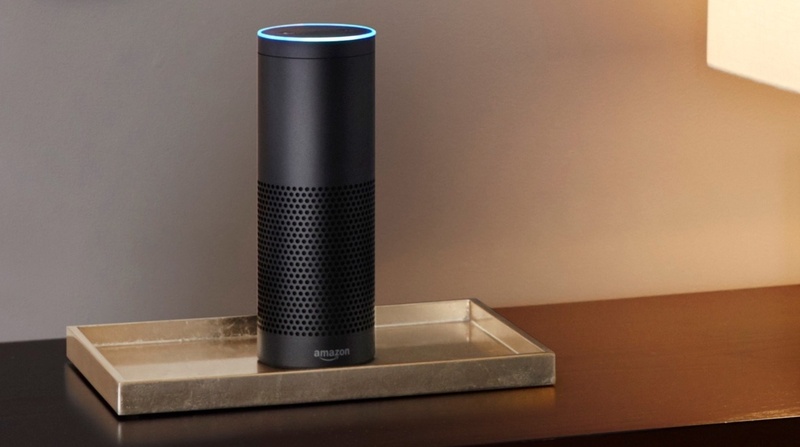 "Echo is available regardless of device choice, and Amazon is an interesting channel of trade and what they have done in North America is very impressive," added Nina Bhatia, managing director of Connected Homes. And she went on to explain that the partnership with Amazon wasn't just a one-way street. "In the UK we are the leading smart home brand, and I say smart home not thermostat because we have the largest number of customers, not just a collection of devices. I think Amazon recognise that and our status: we can get more traction and it's a meeting of minds." "We're already deploying products in our sister business in North America – non-thermostat products, and we should have more by the end of this year, 2017. The US is an important market," she said. We're big fans of what Hive has achieved by getting the smart home into more homes in the UK, with customers who aren't traditional early adopters. A US roll-out following a similar model could make it a serious competitor for Google-owned Nest. Watch this space.